Was able to snag my own copy of Final Fantasy Crisis Core a day before release and the hype is very much true. I will do a full game review after I complete it but many gamers have already stated their love for it. Arguably it's even better than many of the pure numbered Final Fantasy series based on a number of gaming mag reviews and from fellow otaku and gamers. I got the guide too and there's a lot to do. Also, in case some of you didn't know, the main bad guy, Genesis was in the secret ending to Dirge of Cerberus taking away his "brother" Weiss. 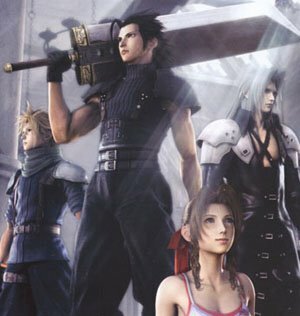 For any Final Fantasy VII fan this is really exciting news since that means there will be a sequel to Dirge of Cerberus! (hopefully for the Playstation 3). Rumor has it the title will be "Endless Crisis" but none of that is official. On top of that, many fans now want the original FFVII to get a PS3 face lift. Either way you cut it, FFVII fans have a lot to look forward to. Enjoy this game for there is more on the way!